the only book devoted to the history, models, variations, contracts, and accessories of the Mauser rifles and carbines built by Fabrique Nationale and Belgian arsenals. ​Covers the classic line of FN military Mauser rifles and carbines including contracts for the Model 1889, the Spanish Mauser (1893), Model 1922, Model 1924, Model 1930, and variants. Belgian arsenal models like the Belgian Model 1935 and 89/36 are covered in detail. Training rifles such as the Model 1905 and postwar Model 1930 variants are also discussed among other single-shot sporting rifles. The line of FN Deluxe and Supreme sporting rifles, especially variants imported into the United States, are also included. Much attention was spent on documenting and illustrating FN and Belgian bayonets and explaining common misconceptions. 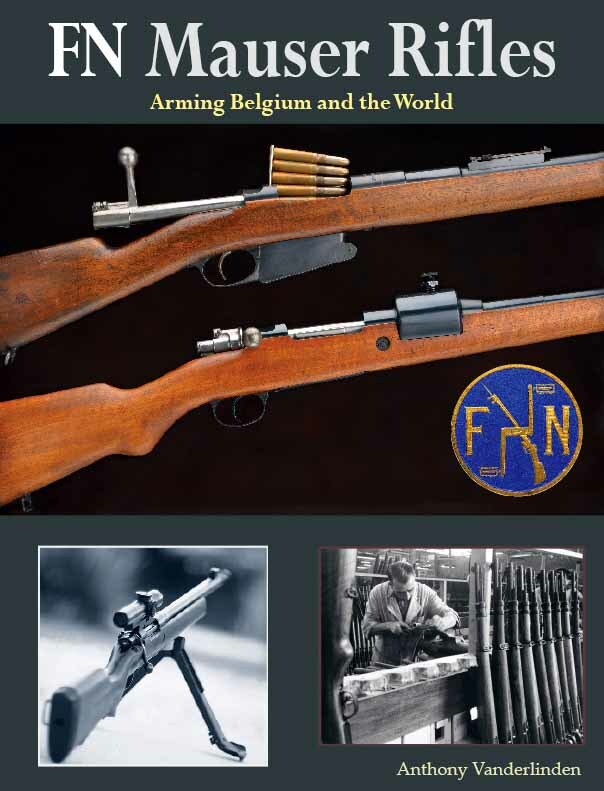 Chapters further cover the history of Fabrique Nationale, the Belgian arsenals, wartime production, and the surprising role of the Belgian riflemen with their Model 1889 Mauser rifles in the Great War. Over 1,250 color and black & white photographs; many of the period photographs have never been previously published. EXCELLENT!! !